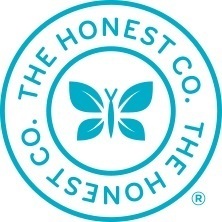 The Honest Company was featured in a VatorNews article: "Will Procter & Gamble buy The Honest Company?" 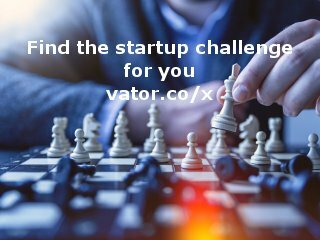 The Honest Company was featured in a VatorNews article: "Take that, Trump: majority of unicorns founded by immigrants"
The Honest Company was featured in a VatorNews article: "Vator Splash LA 2015 Finalist - 8/omakase"
The Honest Company was featured in a VatorNews article: "Vator Splash LA 2015 Finalist - Authorea"
The Honest Company was featured in a VatorNews article: "Vator Splash LA 2015 Winner - Healthiest"
The Honest Company was featured in a VatorNews article: "Vator Splash LA 2015 People's Choice Award Winner - Kanga"
The Honest Company was featured in a VatorNews article: "We've spotted some unicorns in Los Angeles "
The Honest Company was featured in a VatorNews article: "Daily funding roundup - August 14, 2015"
The Honest Company was featured in a VatorNews article: "The Honest Company raises $100M, is an IPO coming?" The Honest Company was featured in a VatorNews article: "Everywhere you look, celebrities are entering the tech world"
The Honest Company was featured in a VatorNews article: "Amazon debuts Elements, a new line of ethical products"
The Honest Company was featured in a VatorNews article: "Brian Lee, Jessica Alba call beauty industry hypocrites"
The Honest Company was featured in a VatorNews article: "Meet IUNU, a new way to grow food indoors"
The Honest Company was featured in a VatorNews article: "The Honest Company's IPO rationale: To change the world"
The Honest Company was featured in a VatorNews article: "Why The Honest Company is looking at China, not Europe"
The Honest Company was featured in a VatorNews article: "Jessica Alba reveals plan for retail outlet experiences"
The Honest Company was featured in a VatorNews article: "Alba: giving back is embedded into our business model"
The Honest Company was featured in a VatorNews article: "Hear pioneers of the LA pre-seed scene at Splash LA"
The Honest Company was featured in a VatorNews article: "See Jessica Alba, Brian Lee at Vator Splash LA, Oct. 2"